Campervan conversions have been around since the 1950's now. It was the legendary Volkswagen based Westfalia outfit that pioneered the road of camper vans as we know them today and an image that instantly pops to mind when we talk about these vehicles. 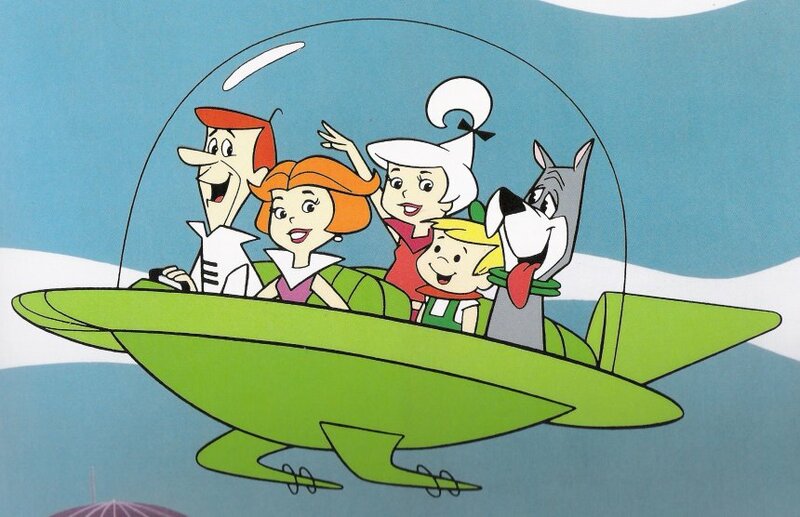 Throughout the years, the cute little box on wheels evolved, grew in size, became overally safer, much more envirmentaly friendly and the interior finish is naturaly far more comfortable. The once affordable to the general public camper van also became unavailable to many countries and a lot more expensive then it used to be. The revolutionary pop to roof is the best deal you can get if you're looking for an all purpose vehicle. A family van and a camper van all in one package. And it is from this basic idea from where all the other campervan conversions and larger motorhomes evolved until this present moment. As of today, almost every regular panel van can be used for campervan conversions. Add a pop top roof, a hight top roof or use just a regular panel van for a comfortable home on wheels. A professional job or a home build project all the way from mini campers to shiny brand new vehicles. You name you got it. While there is a large variety of campevan conversions available out there, small campers and homemade campers stand out from the crowd. Creativity and versatilty are with no doubt two very strong factors here for an increasing number of people, so let us get a little bit closer to these amazing vehicles here! 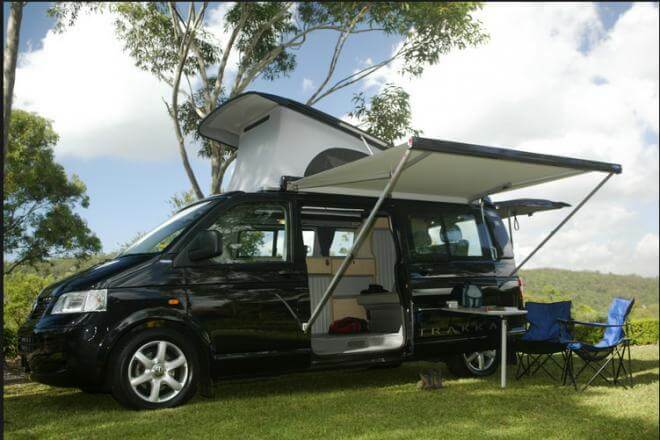 With the arrival of small vans or MPV's, campervan conversions such as the Ford Transit Connect camper popped out of the blue allowing singles and couples to discover the world in a hassle free vehicle. 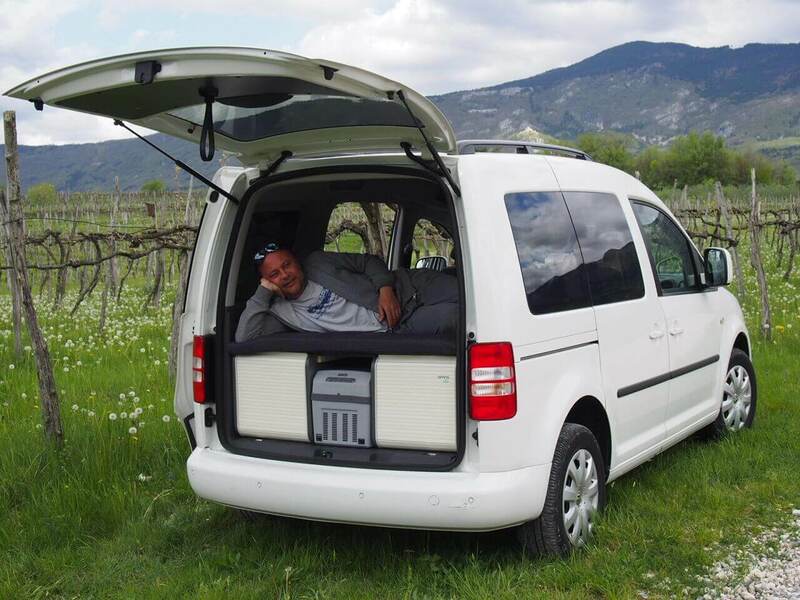 This practical campervan conversion is based on an easy to operate mini van with the addition of a bed unit and some storage room underneath the bed behind the front seats. A lot of creative conversions had been done using these type of vans. Some are quite professional using high end materials for the outfit. However most of them are home build projets and a projection of a creative mind. The key element here is to make the most out of your daily driver and according to your needs. A simple and comfortable matress over a wooden or aluminum frame work will do the job sometimes, but you can do much more than that in terms of comfort if you wish so. Adding a simple camping box to store your camping and cooking gear is a nice and tidy addition below the bed with an acces from the rear door. You can do this in any kind of vehicle with enough room to play with. And if you crave for some more comfort and have a tent nostalgia, a pop top roof tent might be the perfect solution for you. As you see, there is variety of combinations available and the final choiche really depends on you. All combinations have their ups and downs, so take your time to see and feel what works best for you. A regular panel van is obviously the number one choice for a homemade project around the globe. 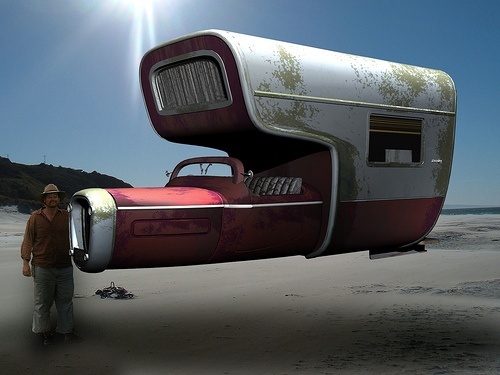 Many people came up with some truly amazing solutions using a large variety of materials and scrap items for designing and building their very own camper van conversions. More people than ever choose to extensively live and travel in their homemade campervan conversions. Just browse around the internet and you will find a huge number of similar stories pointing in the same direction. Seeing no creative future in a boring 9-5 job and the large variety of options to earn money on line created what we know today as digital nomads. They live in cities, move around the country or travel the globe following their passion to experience life as much as they can. Stepping out of their comfort zones and mostly out of the box stuffed with ancient society rules is the name of the game for choosing to live in a camper van. They are perfectly aware that we all have one life and a choice of how to experience it. And I do honestly agree that our inner creative passion is what should drive us to keep moving forward and follow our dreams. Buying old Volkswagen campervan conversions or any other used camper or panel van is simply a matter of choice here. How much money will you spend for this project depends on the conditon of the van and your creativity. Be resourceful here as much as you can. And to help you out here, there are tons of You Tube videos with a lot of amazingly creative conversions. 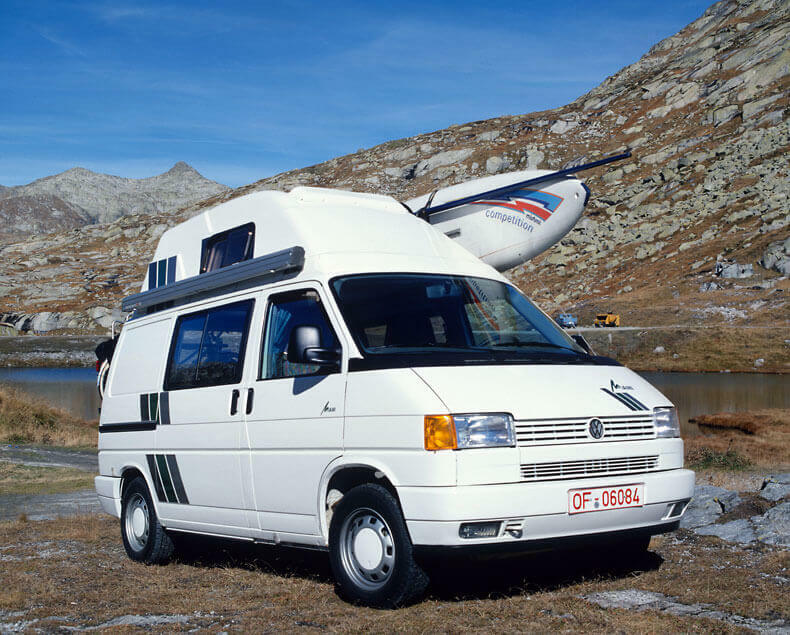 Companies like the German Reimo provide just about everything for any type of campervan conversions. The British Just Kampers and the American Go Westy on the other side of the world provide just all you might need to keep your VW camper alive. And as a side note, they all ship worlwide to your door. 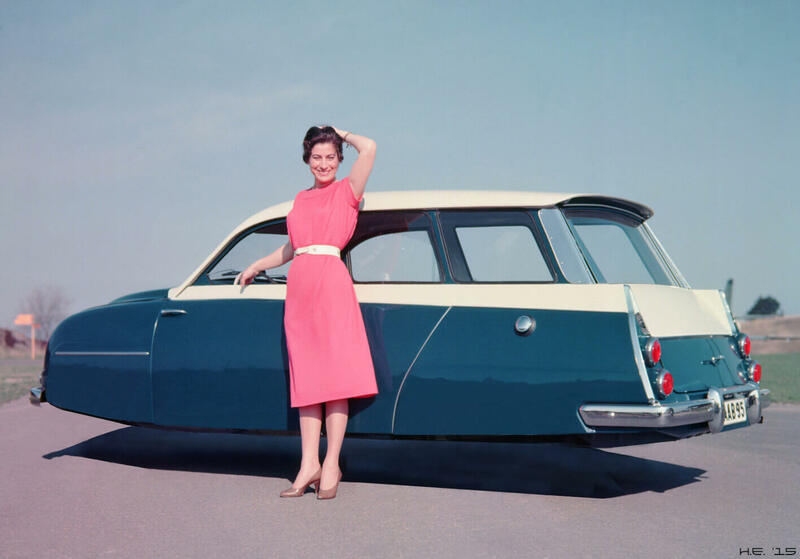 The only issue many of us do not seem to fully care about is that all our vehicles are still running on ancient combustion engine technology powered by gasoline or even worse, diesel fuel since the dawn of the Industrial Revolution. Yes folks, we have been pumping oil for more than a century now! So where are these alternative propulsions now? Why are our vehicles still running on oil? Where is that Zero point free energy Nicola Tesla talked about back in the early 20th century? And how come all these "science fiction" labeled movies, TV shows and cartoons always show similar types of propulsion systems? Someone said that it is much easier to fool humanity than tell a single person that we had been fooled for a long time. Could this be true? Point me out to one single reason for this not to be worth questioning while it is continously shoved in our face since the 1950's through the media? Do some deep research through the vast amount of information available on the subject before you scroll your eyes. Apparently, a lot of inventions had been hidden from us and obviously for a very personal agenda. Elon Musk from Tesla and Ted Branson from Virgin Atlantic are both strongly pushing their agenda for flights to Mars and respecively to the Moon. This would be, as far as I see it a very limited disclosure of all the technology humanity has already achived behind our back door.